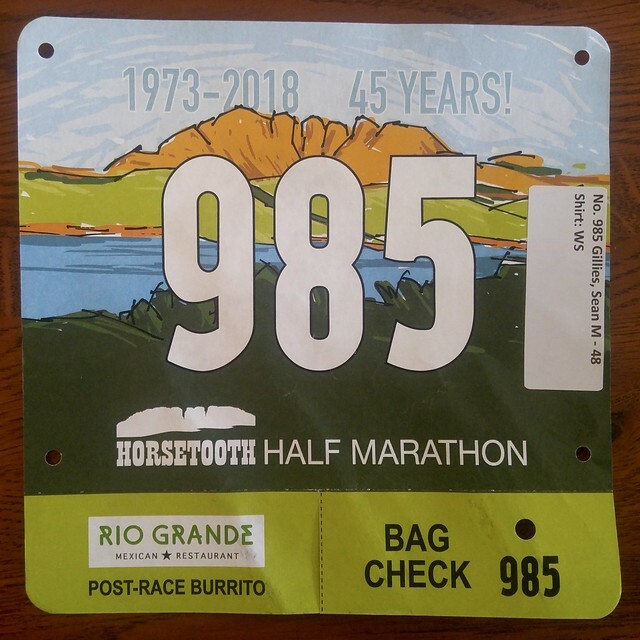 I'm running in the 45th Horsetooth Half Marathon tomorrow. I run parts of the route regularly and have run every stretch of it before, but this is the first time I've ever entered this race. 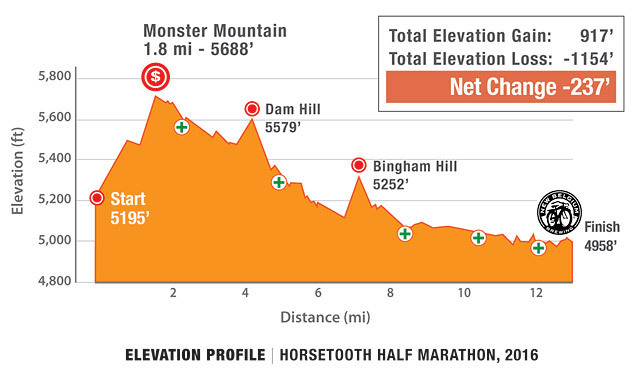 I'm running this as a warmup for the Quad Rock next month and don't have any ambitions other than to finish well and enjoy the spectacle. If I match my previous best half marathon time (1:52:41 in 2015) I will be quite content. I've had a low volume training week and I'm feeling rested, so I might be able to do better. The weather is going to be nice and the starting line is an easy bike ride from my house. I'm looking forward to getting there just before the 8:30 departure.